DEAR JERRY: I distinctly recall one of the dee jays on KRLA (1110-AM) playing "Exodus," by Ferrante and Teicher, then saying it was No. 1 that week, and, for the first time ever, both of the Top 2 were instrumentals. Whether he meant nationwide or just Los Angeles, I can't say. Can you? Either way, was he right? And what instrumental would have been No. 2 that week? - Helen Polk, Redondo Beach, Calif.
DEAR HELEN: Depending on when that slice of music trivia was mentioned, he could have meant either Los Angeles or nationally, or both, and still been correct. For the final week of 1960, "Exodus" was No. 1 in "the Land of Eleven-Ten," with No. 2 being "Wonderland By Night," by either Louis Prima or Bert Kaempfert. 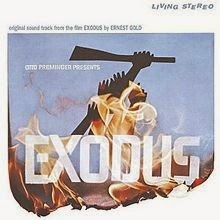 KRLA began 1961 with "Exodus" still at No. 1, but with "Wonderland By Night" replaced at No. 2 by Lawrence Welk's "Calcutta" ... another instrumental! Over the next few weeks, these two would swap positions. It's amazing that this freaky instrumental incident happened two times consecutively in January 1961, yet, for the rest of the vinyl era would never be repeated. Neither in Los Angeles nor nationally. Even going back to the birth of the 45 rpm (1949) we find only one time when two different instrumentals held the top two chart spots nationally. Beginning March 17, 1956, "Lisbon Antigua" (Nelson Riddle and His Orchestra) and "The Poor People of Paris" (Les Baxter and His Orchestra) occupied the top two positions on both Billboard and Cash Box. At times they even swapped positions. The next, and last, nationwide occurrence of twin instrumentals topping the charts came in 1961, with the aforementioned "Wonderland By Night" and "Exodus." DEAR JERRY: Can you stand another pre- and post-Brit Invasion comparison request? I'd like to know what effect the Beatles and company had on instrumentalists of the 1960s? I'll bet a lot fewer of them topped the charts once all of those vocal groups seized control of the American music scene. —Cal Ballentine, Grand Rapids, Mich.
DEAR CAL: Even with all the 50th Anniversary inquiries coming my way, there are still a few thought-provoking angles to the British Invasion. Here are the No. 1 instrumentals of the '60s as per Billboard and/or Cash Box, both before and after Jan. 1964. These numbers support your assumption. More singing groups on the charts left fewer spots for instrumentalists. For the first four years of the decade, seven instrumentals made it to No. 1, but in the next six years only four were so lucky. IZ ZAT SO? In a recent question, a reader opined that, in the pre-Invasion years, teens mostly bought singles whereas adults were the primary market for LPs. Of course that changed dramatically in the mid-'60s. Let's compare the number of albums intended for R&R lovin' teenagers, from the first Billboard Top LP chart (Jan. 4, 1960) to their last one of the decade ( Dec. 27, 1969). Unfortunately for latter day scholars, in the early '60s, Billboard split their album listings into four separate charts, two for monaural and two for stereo, then split each of those into two more groups based on length of time on the charts. Arrgh! Fortunately, they eased their way out of that convoluted mess over the next few years. But for our purpose today, we have to at least split the mono and stereo listings. Of the Top 65 monaural LPs in 1960, only six are by rock stars: Elvis Presley; Ricky Nelson; Bobby Darin; Frankie Avalon; Duane Eddy; and Fabian. 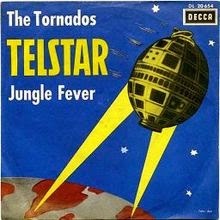 The stereo chart lists only 50 titles, most of which are also on the monaural charts. However, there isn't even one stereo entry of the R&R variety. We know the 1960s was a decade of many changes, and the LP market is no exception. As we close the book on the eventful '60s, it becomes quicker to count the titles among the Top 100 that were targeted to adults — of which there are only 20. Making up that 20 percent are LPs aimed at buyers of Adult Oriented Pop Artists (Andy Williams, Peggy Lee, Lettermen, etc. ); Original Casts and Soundtracks ("Paint Your Wagon," "Funny Girl," "Hello Dolly," etc. ); and Country music (Johnny Cash, Tammy Wynette, Charley Pride, etc.). As for the other 80 percent, they owe a great deal of their success to young thinking Americans of all ages. Keith Allison - In Action The Complete Columbia Sides Plus! Frank Sinatra - Songs For Swingin' Lovers!